Currently floating touch only works in the built-in web browser, but Sony is promising new functionality and apps in future updates. We like what we see as the technology actually solves the problem of not knowing on which website element your finger will land on by giving you visual feedback while your finger is hovering above. You can see a demo of the technology in the video below. Sony is also hoping that developers with take the technology and run with it, bringing their own unique implementations. To achieve this feat, Sony has combined two different types of capacitive touch sensors on one screen. Mutual capacitance provides the touch sensor technology in most devices offering multi-touch and better accuracy, while self capacitance can detect a user’s finger from 20mm above the screen but makes multi-touch impossible. Together with Cypress Technologies, Sony has combined mutual and self capacitance to create floating touch. Mutual capacitance is used for all normal touch sensing, including multi-touch, while self capacitance can sense a finger above the screen for ‘floating touch’. Otherwise the Xperia Sola features some pretty standard internals. 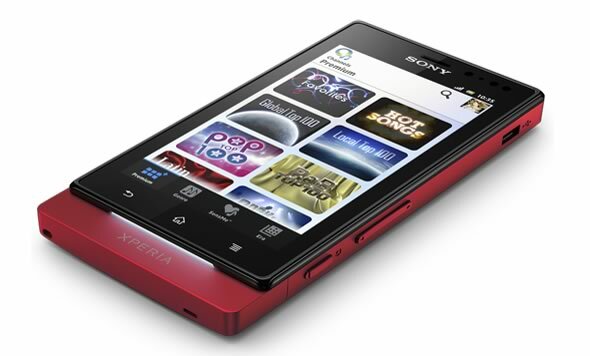 You get the 3.7-inch 854×480 LCD with Mobile BRAVIA engine covered by scratch resistant glass. The smartphone runs on a 1GHz STE NovaThor U8500 SoC with dual-core CPU and and ARM Mali 400 GPU. 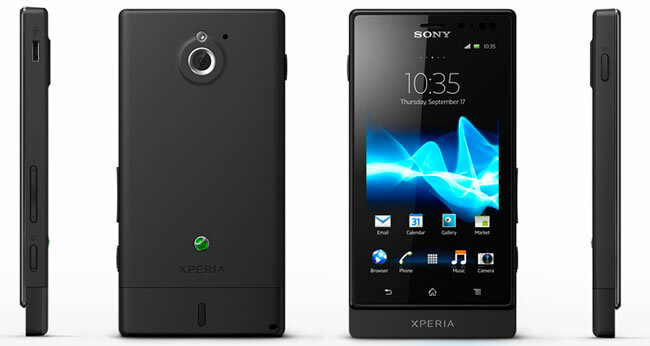 The Xperia Sola has 8GB of built-in storage and a 5-megapixel rear camera. It also comes with NFC support, which allows you to use Sony’s SmartTags in order to automate certain tasks. I.e. 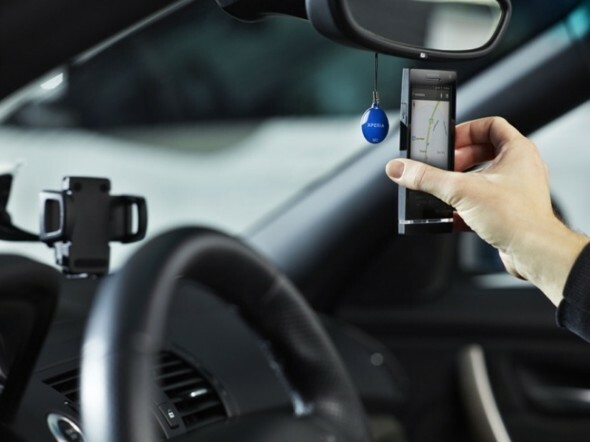 you can hang a SmartTag from your car’s visor and you can set your smartphone to activate Bluetooth and launch in-car navigation by simply touching it. Sony is including two SmartTags with the Xperia Sola, which is set for a global launch in black, white and red in the second quarter of the year. The Sola is set to run Android 2.3 Gingerbread but will be upgraded to Android Ice Cream Sandwich in due time.